SBS released several new brake pad options for the new BMW models including two racing-only brake pads. 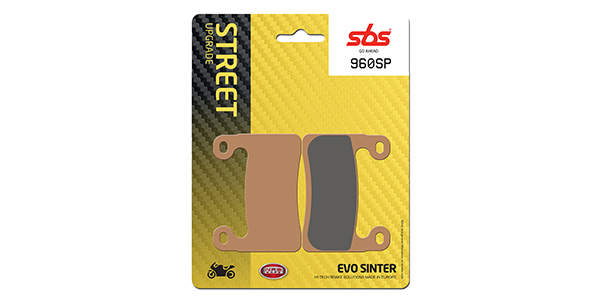 Available in many different compounds and qualities for the BMW 1250GS, the SBS-960 has options for street use (SBS-960SP, SBS-960HS) and for both street and track use (SBS-960RS). The Dynamic Racing Concept dual sinter brake pads are for racing use only. The DS-2 offers a smooth initial bite and progressive in-spot performance and brake feel. The DS-1 has a strong initial bite and linear in-stop performance and brake feel.